The Throne of Frost - 5 Star Reviews! The Throne of Frost has wonderful 5 STAR reviews! Book three in the Flurry the Bear series, The Throne of Frost by J.S. Skye is another spellbinding read in a series that should be gaining a lot of fans among readers of children's fantasy and sci-fi. The inhabitants of Mezarim are suffering from inclement weather, with temperatures dropping to freezing point. The worst could befall the citizens of Ursus. Flurry’s prospects of fun with friends are marred when his sister and another bear cub go missing. Alongside Noah and a wolf called Vallidore, Flurry sets out for answers, but he isn’t prepared for what awaits him and his friends. He will be heading straight to Jack Frost’s lair and will have to face a powerful polar army. Jack Frost is a tyrant who is more than ready for Flurry. Does Flurry stand a chance this time? I couldn’t help thinking of a children’s movie while reading this captivating story in the series. 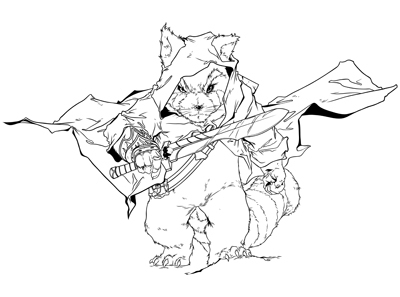 Flurry is a character that is well-imagined and accomplished to perfection, a daring bear cub that will attract both young and older readers. J.S. Skye has the rare gift of bringing readers into the world of bear cubs and making them feel a strange familiarity with the cubs, as though they were walking among friends. The author’s crafting of setting is impeccable and readers will enjoy vivid images like the blizzard and the white snow, without forgetting the treacherous landscapes. The Throne of Frost is well-plotted and intelligently paced, the kind of story that grabs the reader from the start and forces them to leave aside every other task until they turn the last page. But when you are done, you’ll be hungry for the next book in the series. 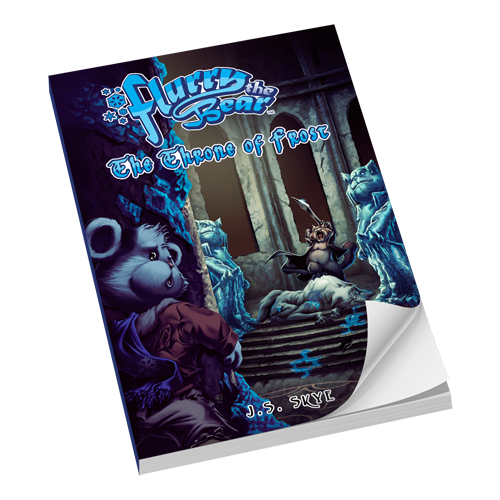 The Throne of Frost: Flurry the Bear, Book 3 is an adventure fantasy novel for children and preteens written by J.S. Skye. Flurry was nervous as he, Fall and Caboose were returning home after their visit to the Land of the Sourpie. While they were all thrilled to be going home again, he knew he had behaved poorly and expected that his parents would be angry with him. They were indeed, but they were even more thrilled to have him and his sister safely back in Ursus. Christopher Kringle decided to throw a dinner banquet to welcome and thank the warriors of Tikalico who had escorted the three back to Ursus, and everyone was invited. All of them, however, couldn’t help but notice that the air had grown noticeably colder and even bears who were used to the North Pole couldn’t help but shiver and wonder what was going on. Christopher knew. The cold presaged the return of Jack Frost. J.S. Skye’s adventure fantasy novel for children and preteens, The Throne of Frost: Flurry the Bear, Book 3, chronicles the continuing adventures of Flurry, Fall and the other characters readers have gotten to know and love from the preceding two books in the series. Skye introduces a new character, Drizzle, who is not so popular with his peers. He’s dyslexic, has limited social skills and likes mathematics and science. Flurry has no use for him, but Fall sees more in Drizzle than anyone else can. Skye’s plot shows Flurry learning to appreciate Drizzle in a whole new way as the mercurial Teddy continues to come of age. This imaginative and creative epic fantasy just keeps on getting better. Do start with the first book in the series and work your way through to this one. This series is too good to miss a single book. The Throne of Frost: Flurry the Bear, Book 3 is most highly recommended. Just back from one adventure, Flurry the teddy bear quickly becomes involved in a new and even more dangerous mission to save Mezarim, the land of the North Pole. The Throne of Frost by J.S. Skye details the quest Flurry must undertake to save his sister and another teddy bear who is trying to prove he is just as worthy as anyone else. Drizzle, a smart but awkward bear, feels unloved and unappreciated, and Flurry doesn’t help with his teasing and bragging. Wanting to prove himself to be just as brave as Flurry, Drizzle leaves Christopher Kringle’s home to find the land of Ursus. Unfortunately, this coincides with changes in the climate that indicate an ancient enemy may be waking up – Jack Frost. Flurry and his friend, Noah, along with the Kringle’s pet wolf follow after Flurry’s sister, Fall, and Drizzle in hopes of getting to them before they find trouble. Unfortunately, timing is not with them and Jack Frost is wide awake and ready to destroy the northern kingdoms. Will the stuffed animals and the brave wolf be able to prevent tragedy, or is this job too much even for the very special Flurry? The Throne of Frost: Flurry the Bear, Book 3 by J.S. 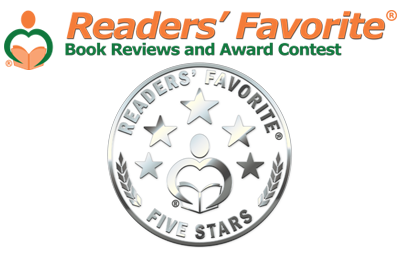 Skye is a riveting, action-packed story that will thrill and enchant children of all ages. Flurry still has a lot to learn about sharing and being a friend, but his bravery and hidden magical abilities get him through the worst of situations. The characters are great and the author's ability to keep the story line going is amazing. This series should be a 'must have' for every child's library. There is plenty for children to pick up through the lessons Flurry encounters, and they can grow in maturity along with this adorable teddy bear hero. The Throne of Frost is another excellent book for any child’s reading list. Once again, readers can join Flurry the Bear. In the third book about his adventures, The Throne of Frost by J.S. Skye, the white teddy bear once again gets himself and some others into serious trouble. Flurry's teasing and bullying drives Drizzle away. Drizzle wants to prove himself worthy of others' attention, but had no idea what he would get everyone into. Fall (Flurry's sister) follows Drizzle and soon (almost) everyone is on the search. When Flurry catches up with Drizzle and Fall, his attempt to free his sister not only frees her, but also an old enemy. This time, lives are at stake and Flurry needs all the support he can get. But he also needs to learn to be supportive himself. The Throne of Frost by J.S. Skye is another step in Flurry's growth into a respectable teddy bear. He still has issues with his ego, and often does not say the right things. But he learns. You can see a clear development from book 1 of the series to book 3. The little guy still has a long way to go, I would say, but you can see that he's trying to head in the right direction. I would highly recommend you to read book 1 and 2 of the Flurry The Bear series first. You can understand book 3 without previous knowledge, but it's definitely more fun when you know the backstories of the different characters. I enjoyed reading the first three books of the series and would definitely recommend the whole series as a great gift for kids who love reading. I'm working on something. What on Earth could it be? For the longest time, I avoided making a book trailer. I was told that "ALL" book trailers are lame and unprofessional by people that are well-established in the book industry (writers & publishers). However, I've seen some book trailers that have impressed me, so I decided to give it a go. It's my very first attempt and probably needs some tweaks, but I enjoy the final product immensely. I hope you love it!